Back in July, you may recall a story we did on a young woman who goes by the moniker, “SexyCyborg”. 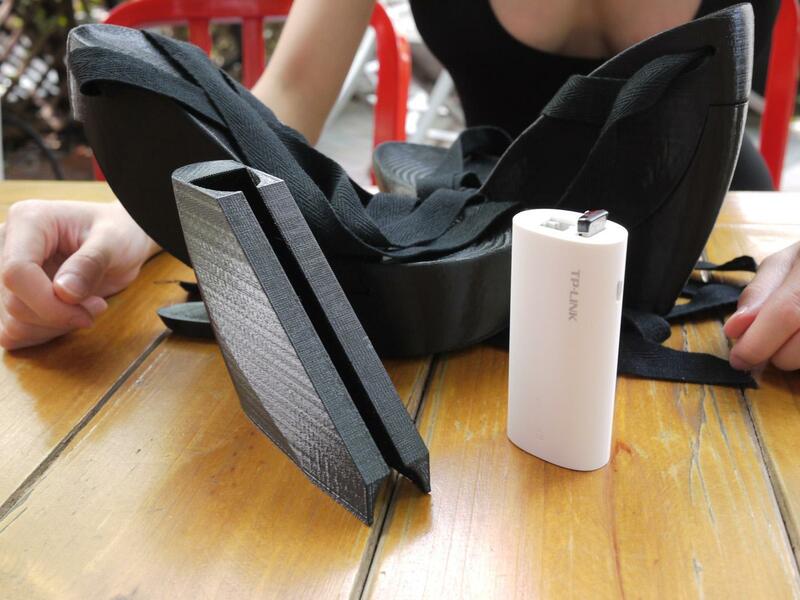 She had created a very skimpy LED Hikaru Skirt with the help of a 3D printer. When looking at SexyCyborg, the last thing you would expect, would be for her to have a nerdy side. Perhaps it’s the large balls of silicone in her chest, or her body which obviously takes several hours of work in the gym each week to maintain. What lies beyond the over-the-top beauty and the exposed skin of SexyCyborg is actually a very intelligent and extremely geeky woman, who takes a keen interest in robotics, electronics, and most importantly 3D printing. This was seen in her clever creation of the Hikaru Skirt, and is seen again with her latest 3D printed creation for a unique pair of shoes. Penetration, in the context that she uses it, is the breaching of security in ways which deceive those involved. Perhaps SexyCyborg has learned a thing or two from Hollywood films such as James Bond or The Matrix, or perhaps it’s just from reading articles on the internet, but somehow her demeanor, looks and intelligence make you think she could be quite successful in the profession of “penetration”. This is especially true when she is aided by a pair of 3D printed shoes that she designed and calls the “Wu Ying Shoes“. 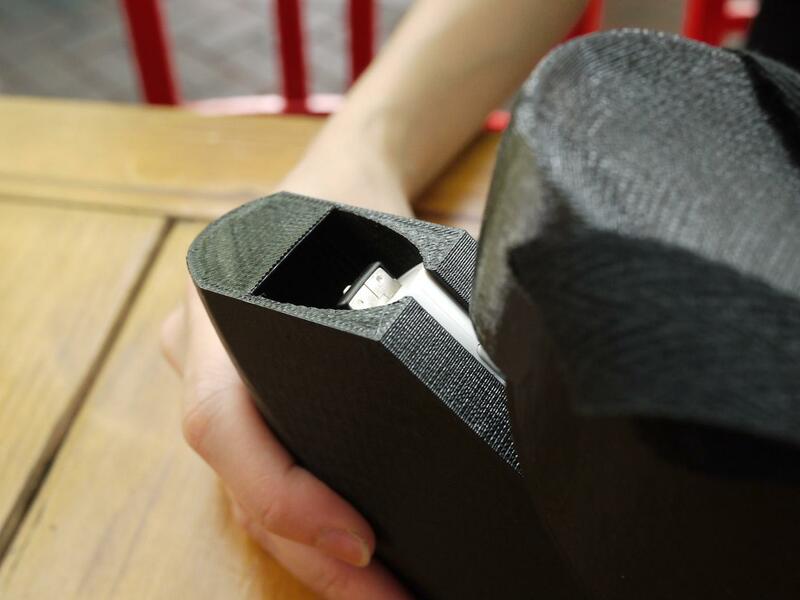 But what if hacking, lock picking, and breaching devices were housed in a pair of 3D printed shoes? That is exactly what SexyCyborg decided to find out. She devised a design for her Wu Ying Shoes, which are each 3D printed with an inner drawer that can slide out without having to take the shoes off of her feet. Quite the lethal combination when contemplating a potential hacking and/or cyber attack. When the contents of the right shoe are combined with the equally damaging contents in SexyCyborg’s left shoe — a USB keystroke recorder, lock picking set, retractable ethernet cable for the OpenWRT router, and a shim for opening padlocks — government agencies, large corporations, and anyone interested in protecting their own privacy should be concerned. While this woman has no ill intentions, and in fact only created these shoes as an experiment, this experiment proves that the future of security might be a bit more complicated than we all imagine. The design for these shoes with their nifty little drawers, have been made available for anyone to download and print themselves from Thingiverse. What do you think about these security penetrating 3D printed shoes? Is this a threat that more agencies and corporations should be weary of? Discuss in the 3D Printed Security Penetrating Shoe forum on 3DPB.com. Check out additional photos below.